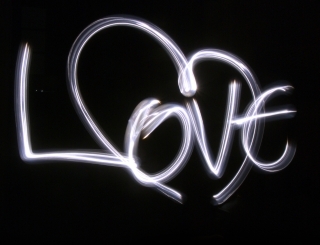 Love in the Teen Years: What is Love? Home → Parenting → Love in the Teen Years: What is Love? We’ve been looking at ways to become spiritually proactive in training our children in matters of the heart. We’ve learned to assist children in guarding their hearts, becoming mindful of God’s best plans, and confident in waiting for His will to be revealed. It is in this position of desiring only what God has for him, that a child is ready to embrace God’s perspective concerning relationships. So, what is God’s perspective? God explains what genuine love looks like in His Word. Love is a verb. Therefore, those who reflect genuine love toward others do so through action, rather than merely through words. This means we can train our children, in advance of entering into relationships, to identify loving attributes. There may be times, however, when children have difficulty correctly viewing a personal relationship that fails to demonstrate loving characteristics. Whether we are being proactive or reactive, it is important to know how to use God’s Word in training our children to recognize genuine love. Becoming familiar with the following Scripture and possible questions for application will assist you in helping your child consider God’s perspective in matters of the heart. 1 Corinthians 13:4 tells us: Love is patient, love is kind. It does not envy, it does not boast, it is not proud. What makes a person patient? Does this person demonstrate these qualities? In what ways does this person exhibit kindness? Does he consistently show signs of jealousy? Is he or she possessive of your time together? What makes a person prideful or arrogant? Is it difficult for this person to admit that he or she is wrong? 1 Corinthians 13:5 states: It (love) is not rude, it is not self-seeking, it is not easily angered, it keeps no record of wrongs. Have there been occasions when this person embarrassed you in public? Does he or she tell inappropriate jokes, consistently undermine what you have to say, or mock you? What does it look like for someone to be selfless? Do you consistently see these qualities in the other person or does he or she expect to have their own way? Is this person quick to use an angry tone or demonstrate physical abuse? Does he or she consistently bring up past mistakes and hurts? 1 Corinthians 13:6 reads: Love does not delight in evil but rejoices with the truth. In what ways does this person’s lifestyle reflect one who is grievous over personal sin (or the sin of others), and is wholeheartedly pursuing Jesus Christ? 1 Corinthians 13:7 tells us: It (love) always protects, always trusts, always hopes, always perseveres. Is it this person’s character to be loyal in relationships, protecting the confidences and reputations of others? Regardless of adverse circumstances or provocation, will this person choose to persevere with continual trust and hope in God’s best? Teaching a child to recognize and acknowledge God’s truth concerning love will assist him in distinguishing genuine acts of love from those motivated by self-interest. Parents, did these questions cause you to consider the way in which you demonstrate loving qualities? Since genuine love will consistently reflect the character of Christ, it is significant for these attributes to be modeled for children. However, some parents experience feelings of inadequacy as a result of growing up in an atmosphere that lacked true love. Praise God for His Word and the powerful work of the Holy Spirit! Regardless of past experiences you can learn to love as Jesus asks us to and train your children to do the same. What steps are you taking to instill lasting qualities of love in your child?